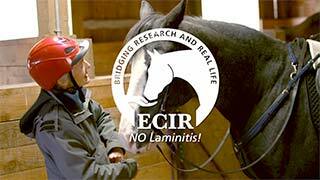 Insulin Resistance | ECIR Group, Inc.
Owners and veterinarians have long recognized a syndrome among young adult horses relating to obesity and chronic laminitis. Terms like Pre-Cushing's, Cushingoid, Syndrome-X, Hypothyroid, and Metabolic Syndrome have been used to describe these animals. Mostly young adults, these horses do not respond well to mainstream PPID/Cushing's Disease therapy using conventional drug therapy such as pergolide or cyproheptadine, and have only minimal success with thyroid drug supplementation. This is because they do not have PPID or true hypothyroidism. In the past few years, researchers have examined this condition more closely and the more specific term "Insulin Resistance" (IR) or "Insulin Dysregulation" is now used to describe this metabolic body type. Insulin Resistance is characterized by a loss of insulin sensitivity at the cellular level. The IR horse is carbohydrate intolerant and the degree of insulin resistance can be assessed and measured as part of the diagnosis and recovery process. Insulin Resistance can arise in response to other disorders, diseases or challenges, but in non-PPID horses the vast majority of IR horses are not "diseased". IR is simply part of their metabolism, likely genetic. If you knew someone with an allergy to peanuts, strawberries, or shrimp, you wouldn't really consider them to be diseased. Try to think of the insulin-resistant horse or pony as an animal that is intolerant of certain types of diet and management. This is a management and care issue with no real cure. 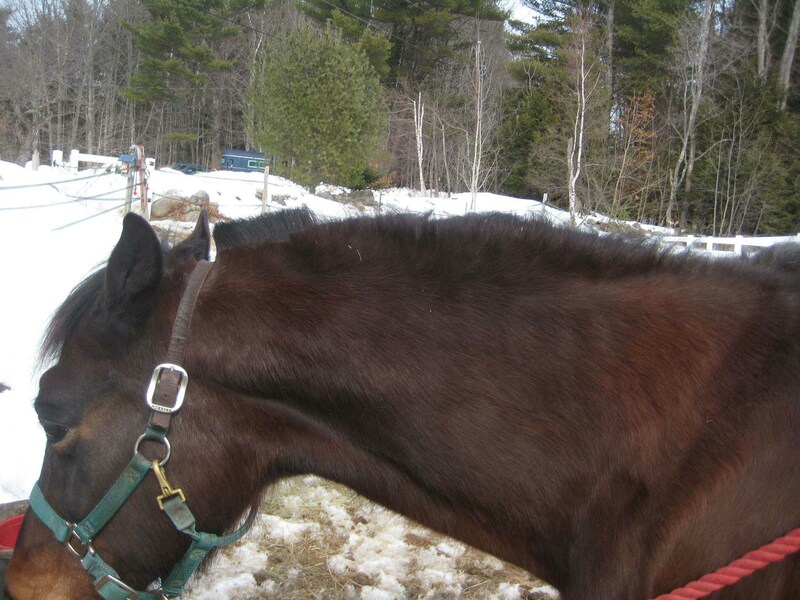 The solution is to avoid the triggers that can get the horse into trouble. The primary treatment for equines with IR only, and for equines with both PPID and IR, is a low-carb, low-fat, and mineral-balanced diet. Any grain products and pasture turnout should be eliminated until all signs of IR are totally absent and reintroduced only with extreme caution. Low-carbohydrate hay or forage products should be fed. 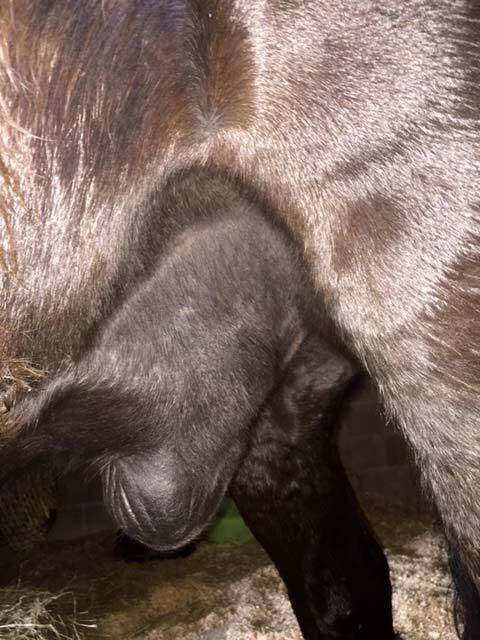 The ECIR Group has found that Ethanol Soluble Carbohydrates (ESC)* + Starch at 10% or less by testing, or hay soaked and drained to remove soluble sugars, can be fed safely to all but the most severe IR horses. Attempting to achieve weight loss by reducing feed intake below 1.5% of body weight can worsen IR and precipitate Hyperlipemia. Hyperlipemia is an alteration in fat metabolism resulting in elevated triglycerides and cholesterol and is a potentially life-threatening condition, especially in ponies. DO NOT STARVE the weight off your horse or pony! Severe calorie restriction actually triggers Insulin Resistance. Abnormal fat deposits such as a cresty neck or lumpy fat patches that persist even if the horse loses weight; fatty sheath or udder. History of laminitis commonly induced by grass. Puffiness in the hollows above the eyes. Advanced symptoms include increased thirst and urination, loss of body condition and muscle wasting and low energy levels. Above normal insulin with normal blood glucose. Advanced cases, or horses on an inappropriate diet, may also have high glucose. *ESC = Ethanol Soluble Carbohydrates, i.e., carbohydrates extracted in ethanol. Includes primarily monosaccharides and disaccharides. These sugars are digested to glucose; to be reduced as much as possible for IR horses.